The second half of 2016 offers us a ton of worth watching dramas and I am so ready to watch them. Of course not all of them since I’m super picky but I promise to watch at least 3 of them. Some are “meh” for me but there are also dramas that I’m so excited for! Here are my top 3 dramas that I can’t wait to watch! I fell in love instantly. I know it will be cheesy and all (it’s from KBS after all you guys) but something about the teaser that makes me want to give it a shot. Even though the 4th teaser (on asianwiki page) kind of turns me off. Just look at how awkward Kim Woo Bin is with a guitar! I’m sorry, I’m a fan of many rock bands so when I see someone awkwardly plays or pretend to play a guitar like he’s a hot stuff it just turns me off. Ok it’s not worth mentioning but I just want to talk it out, you know I love being bitchy. Movie-like lineup! It’s Jeon Do Yeon’s comeback drama after 11 years can’t you believe it? I am super excited for this drama because we’re going to have Jeon Do Yeon, Yoo Ji Tae, and Yoon Kye Sang in one drama. Them 3 are undeniably amazing actors and the fact that it’s produced by tvN is another thing that makes me really excited for this. At least I don’t have to worry about excessive PPLs, filler scenes, and the cinematography is guaranteed to be great. 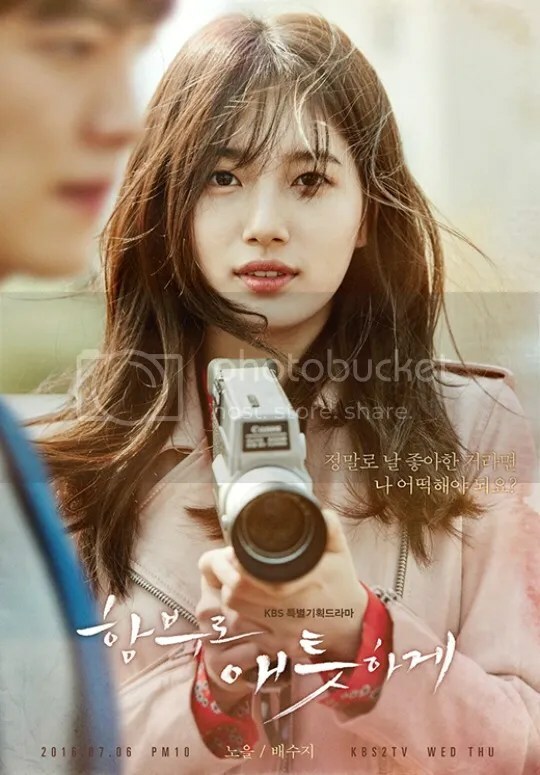 Don’t forget that the director who directed Cruel City (Heartless City) is going to direct this drama too! Besides, I’m curious about how the writer’s gonna do this remake. The first 3 teasers are just eeh???? It worries me that people who don’t know how amazing the actors are and only rely on teasers won’t be watching this drama because the first 3 teasers are just…. bad. 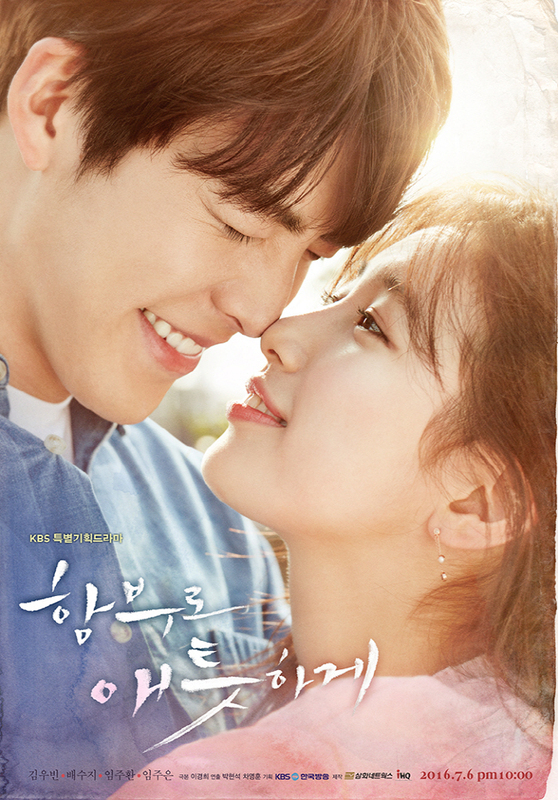 They don’t provoke whoa-so-great-im-gonna-watch-it kind of feeling (like the one that Uncontrollably Fond manages to pull off). Thankfully, the 4th teaser is great and hopefully people are going to see the 4th teaser too. I kind of don’t really like Lee Jong Suk and I am just a casual fan of Han Hyo Joo so this drama is a typical drama I wouldn’t care to even give it a shot. Until I found out that the writer behind W is the same writer who wrote tvN’s The Three Musketeers, Nine: Nine Times Time Travel, and Queen Inhyun’s Man. Those 3 dramas are my all time favs! From writing aspect, W is gonna be tight from start to finish. Signal‘s music director will take a part, Bubblegum‘s cinematography director is gonna be involved too, last but not least, She Was Pretty‘s director will direct the drama. I AM SOLD! I AM SOLD! I AM SOLD! I don’t have anything to talk about. W is definitely gonna kill it. I can already picture that W will be leading its timeslot and be a hot topic. I am sold. I’m very very looking forward for this one among all. I am sold.